Right in the heart of Bucharest’s business center, we are offering 4* comfort in our spacious rooms with new and modern furniture, with double or twin beds and free Internet access. Reception, room service from 7 am to 11 pm, concierge, newspapers and magazines, business center, fitness room, guarded underground parking (25 paid spots), 1880 Restaurant, The Brasserie, Kubler Café, summer indoor garden, assistance for events. 17 sqm of style and comfort, well deserved after an important meeting. 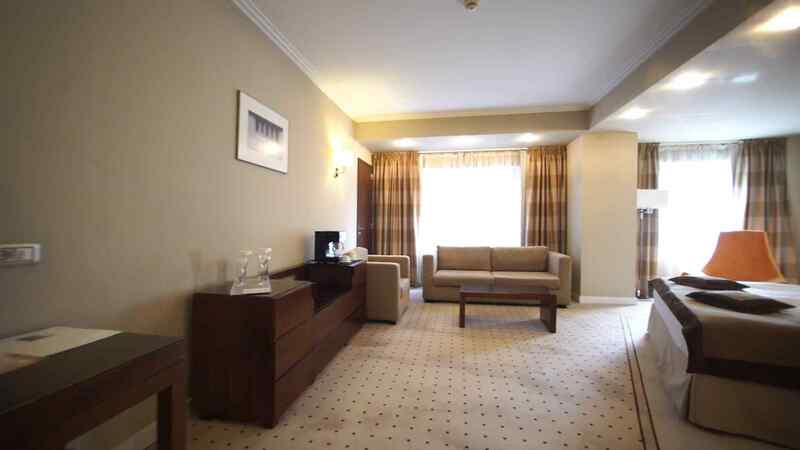 Double or twin beds, comfortable furniture, a work desk and free WI-FI. 20 sqm of superlative elegance, with a double bed, modern furniture and a bathroom with a cosmetic mirror. Free WI-FI and a view to Iancu de Hunedoara Boulevard. A refreshing space - with a dedicated relaxation area, double bed, a sofa and armchairs, on a 30 sqm frame. Some of the Executive rooms also have a balcony, a tub in the bathroom and the option of connecting to the adjoining room. An attractive and ultramodern 34 sqm space, with a bedroom and a large living room. Double bed, TV sets both in the living room and in the bedroom, Internet. and be the first who receives our latest news and offers.